W elcome! In an exciting conclusion we discover what fate has instore for Ewan and Brianna in this epic story. A dark hour has fallen upon the Demiari, with not just the return of Ganondorf, but another evil, which has been growing in Sosaria over the years. Other familiar faces make a return, as do new faces and Timothy Westley, son of Aaron, is given his chance to shine as a hero. It provides a jump-off for a new, original series that I'm working on, and we hope that you, the fans, enjoy it as much as our other sagas! Prince Ewan lies in mortal danger. Attacked and left for dead by the evil Molasar Dragmire, Ewan lies dying with his striken mother Zelda and aunt Fayette at his side. His wounds are so grave that no healer is powerful enough to save him, but one. Leigh. However she has disappeared, and Link travels to Sosaria in search of the missing avatar. Molasar has snatched away Brianna, determined to make her his bride. Brave Timothy Westley, along with his friend Aden journey to Benlucca to bring the young princess home. There they meet the mysterious Rillar, who helps them reach Molasar's hidden kingdom and it is up to the young hero to defeat the evil Gerudo prince once and for all, in order to rescue Brianna and avenge Ewan. In a final showdown at Death Mountain, father and son face father and son; Link Vs. Ganondorf and Ewan Vs. Molasar in battles to the death. And Leigh makes the ultimate sacrifice to save the entire world from destruction. 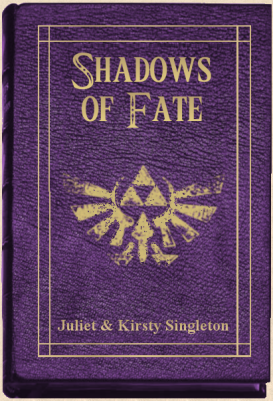 After the tragedy, it is sure life will never be the same for Hyrule's royal children. This page was created by Juliet A. Singleton © 2003-2008. All rights reserved.